Same day heat pump hot water system repairs and replacement service. We are the Sydney heat pump repair and installation specialists.  Did you know that heat pumps consume about 1/3 the electricity of traditional electric water heaters. What is a heat pump hot water heater and how do they work? Heat pumps use technology to extract and intensify the warmth that is naturally in the air around us then uses that warmth to produce hot water. They don’t use solar collectors mounted on the roof like solar systems. The heat pump consists of an insulated storage tank and a heating module. The heating module must be installed outdoors, but there are options to install the storage tank either outdoors with the heating module, or indoors separated from the heating module by up to 4 metres. A heat pump works to heat water by transferring the intensified warmth from the air around it into the water, stored in the tank, via a heat exchange system that works in a similar way to an air conditioner. When emptied, it takes time to reheat to have you back in hot water. Heat pumps draw less electricity than a traditional electric storage water heater, and in doing so, are more energy efficient. They do take longer to heat water, so consider a larger tank capacity to ensure you have enough hot water when you need it. Heat pumps are a great alternative to solar where unshaded north facing or limited roof space is a problem as they don’t require the installation of roof mounted solar collectors. Heat pumps can attract solar rebates and incentives. Ask us for more information. Heat pumps consume about 1/3 the electricity of traditional electric water heaters. Heat pump water heaters can reduce the energy you use and greenhouse emissions by up to 65%* depending on where you live, according to Australian Government approved modelling. 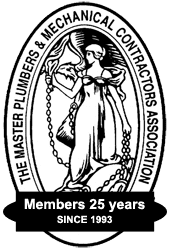 After installing a new heat pump hot water system, the impact on your electricity bill will depend on the tariffs you pay and the type of water heater being replaced. The majority of homeowners see the greatest savings on hot water bills when replacing an electric water heater on a continuous tariff. Heat pump water heaters are recommended for connection to either 24 hour continuous tariff or extended off-peak, minimum 16 hours per day. What is the difference between a solar water heater system and a heat pump? Solar water heaters work by absorbing energy from the sun’s rays in the roof mounted solar collectors and transferring this to heat water stored in the tank. Ground mounted direct systems rely on an inbuilt circulator to push the water through the system, whereas roof mounted systems rely on a natural ‘thermosiphon’ effect. Water passes through the solar collector where it is heated, then moves out of the collector and into the tank. The tank gradually gets hotter until the water reaches its maximum stored temperature. Indirect systems use a special heating fluid, rather than water to absorb heat from the collectors. The heat is transferred to the water in the tank via a heat exchanger. 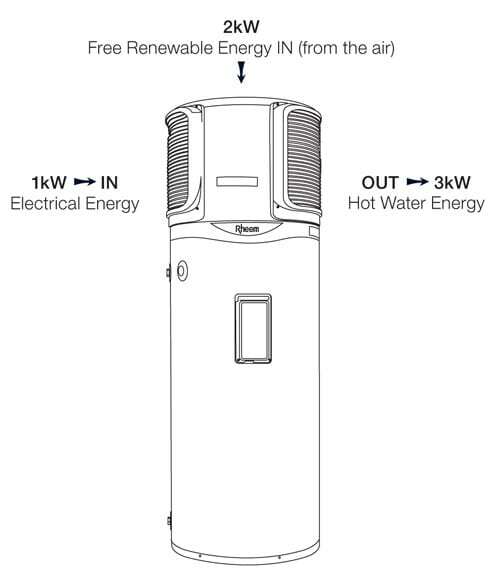 Can a heat pump replace my current electric hot water system? Yes, heat pumps are often the simplest replacement for an electric water heater as they have similar storage tanks and use the same plumbing and electric connections. We can quickly install a new heat pump to replace your old electric water heater. Call us today for a quote and to discuss the storage capacity required for your household hot water usage. How long does it take to install a heat pump? 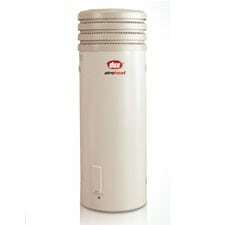 A heat pump hot water system is typically a quick replacement for your old electric water heater. Our trucks are on the road right now containing new heat pumps ready for installation. 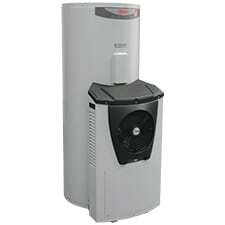 The Rheem HDi-310 Heat Pump is designed for speedy recovery. 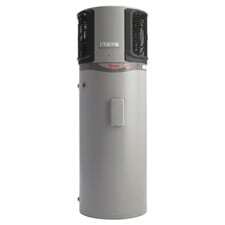 The Rheem MPi Series Heat Pump is suitable for moderate – warm climates and average size families. The Rheem MPi-410 Heat Pump is suitable for warmer climates and is recommended for installation on the North Coast of NSW and QLD. Its larger tank size makes it ideal for the larger family. Quantum are Australian innovators in solar heat pump technology. Quantum Solar Heat Pumps work on a patented refrigeration principle similar to that found in a refrigerator or air conditioner, but in reverse. Ask us for the right heat pump solution to suit your needs. 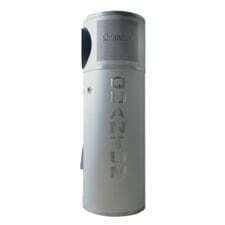 The Quantum 270 litre heat pump is suitable for most 4 bedroom homes with approximately 5 occupants and two bathrooms. Quantum solar heat pumps offer all the benefits of solar hot water, without the need for sunlight! Quantum heat pumps can provide you with hot water which operate in all climates, at all times of the day. The Quantum 340 litre heat pump is suitable for most 5 bedroom homes with approximately 7 occupants and three bathrooms. There are many other heat pump options. Ask us about what product is best suited to your household hot water usage requirements. Dux’s airoheat solar heat pumps are a compact design complete with an innovative de-icing function so there’s no need for a back-up element making them suitable for colder climates. Powerful, efficient and environmentally friendly, the Dux airoheat is perfect for homes that don’t have enough roof space or orientation to install solar collectors. A heat pump is the next best choice in environmentally friendly hot water heating but without the need for rooftop solar panels. 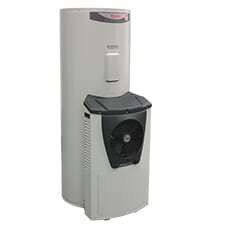 We are the Sydney heat pump service specialists. We are authorised heat pump installers and repair technicians for all makes and models. Our trucks are on the road right now stocked with thousands of spare parts to repair your heat pump today! Call us on 1800 266 999 or send a text to 0410 693 532 for fast heat pump service. We service the entire Sydney metropolitan area and Central Coast.